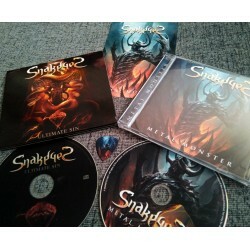 This new record will follow SnakeyeS' 2015 debut album "Ultimate Sin", which got great reviews from international press. Metal Monster is the first single of the new album. 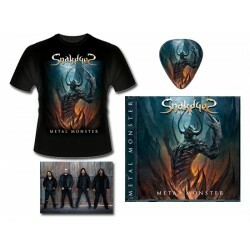 The video, directed by Leo Traverso can be watched here "SNAKEYES - METAL MONSTER"
CD, T-SHIRT, GUITAR PICK AND SIGNED POSTCARD. IS IMPORTANT TO KNOW WHAT KING OF T-SHIRT DO YOU WANT AND SIZE. 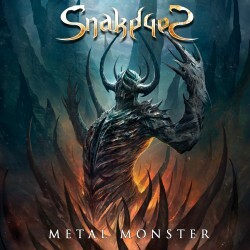 This new record will follow SnakeyeS' 2013 debut EP "Welcome To The Snake Pit", which got great reviews from international press. The band was in Madrid last October, shooting a video for "Ultimate Sin", the first single off the new album. The video, directed by Ricardo Perez, will premiere in Feb 2015. 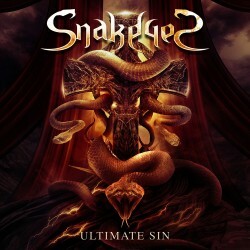 "ULTIMATE SIN - OFFICIAL VIDEO"
© 2015 SnakeyeS. All rights reserved.